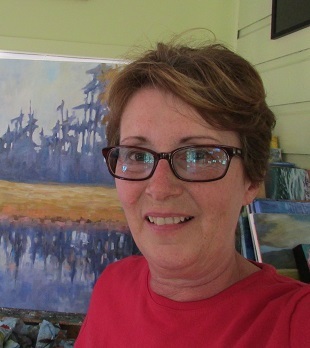 A West Coast artist living and painting on beautiful Vancouver Island, Canada. My paintings reflect the beauty that surrounds me as I travel around the Island and this wonderful province of British Columbia that I am so fortunate to call my home. Linda Yurgensen – Acrylics and Oil! I paint with acrylic and oil in both a realistic and impressionistic style and love to use both a brush and palette knife on canvas and panel. The use of vibrant color and thick texture has become my trademark and has drawn collectors both locally and internationally. I was always drawing and doodling as a child. I used to copy the comics out of the newspapers. I probably started doing this as soon as I could read and write. I am truly inspired by the Canadian Group of Seven artists especially Tom Tomson. 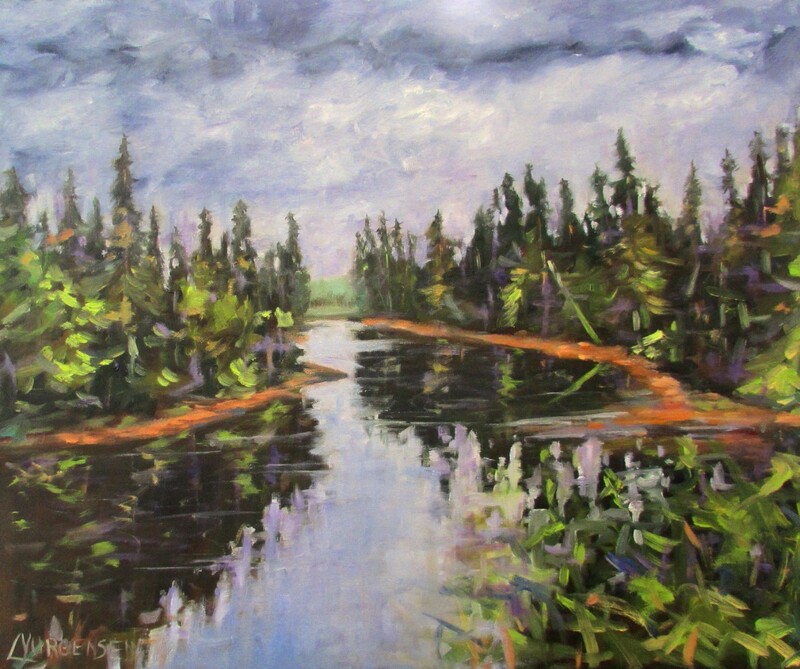 The paintings he did of the Canadian wilderness are fresh and alive with color. The brushstrokes he used were varied and inspiring. I would say my work is a modern take on impressionism. 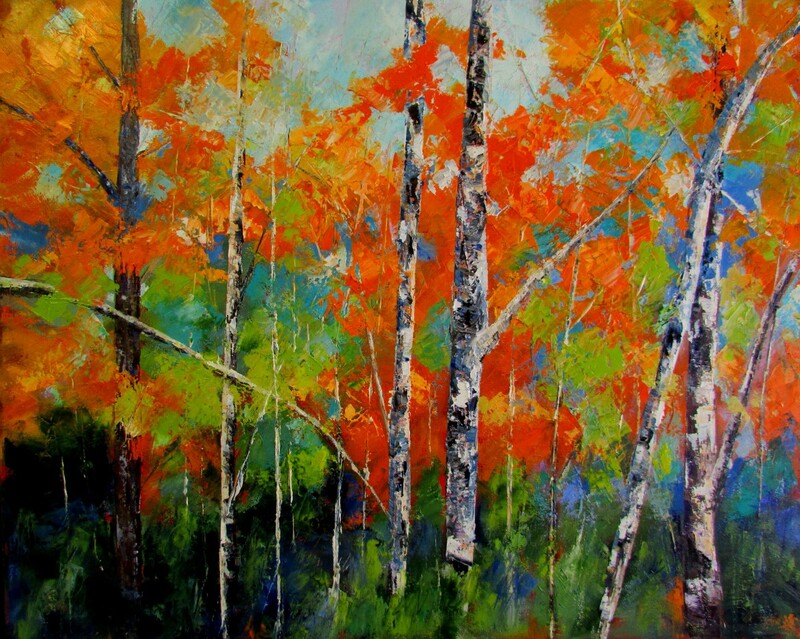 I use bold , vibrant color and brush strokes thick with oil paint to make the painting come alive. My parents commissioned me to paint a portrait of their cat when I was younger. It was a small thing but gave me the confidence I needed to pursue my dreams further. I generally work on one piece at a time because I like to finish the painting in one sitting. I do not do much layering in my technique but I put one brushstroke next to another and leave it alone. I sometimes will color the ground of several canvases if I have the time just so that they are ready for me to start painting when inspiration hits. I take a lot of photos when I am out hiking or kayaking. I look for interesting shapes and shadows for my photo shoots and when I get home I go through them and save the ones that I think will work for paintings. I sometimes will adjust the color or contrast to suit my needs. I am married with two grown children and one grandchild. I live in a sleepy rural community on Vancouver Island, B.C. close to the ocean and enjoy kayaking the many estuaries, lakes and ocean bays in search of painting inspiration. I also enjoy camping and cruising the Gulf Islands and hiking the many trails with my husband of 36 years. Hi Linda. I just wanted to let you know the painting I commissioned looks great! Thank you! I am thrilled to have purchased “Cotton Candy” and “Glow through the Trees” and now “Ocean Deep”. These purchases were made through my designer Claaudette Bonville and I couldn’t be happier! 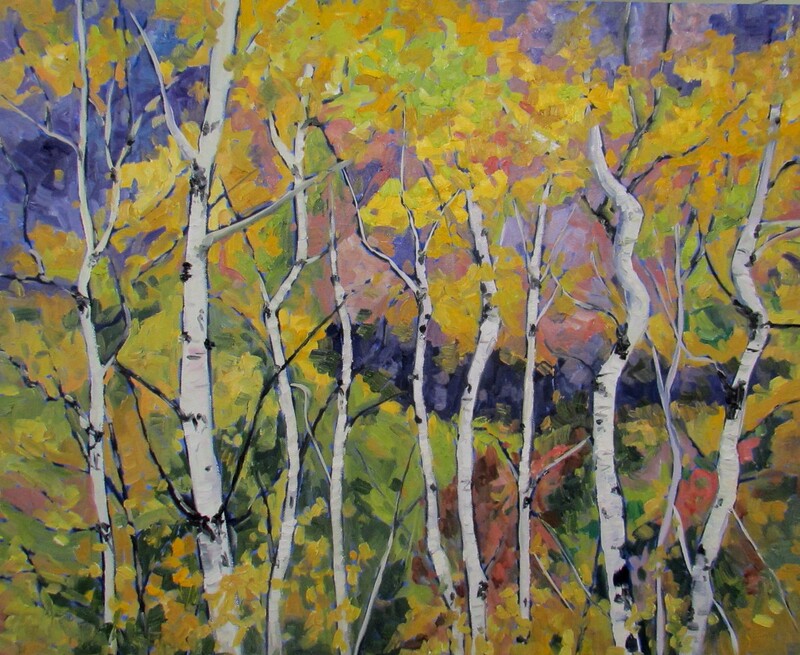 Federation of Canadian Artists Juried Show “Crossing Boundaries”, Vancouver, B.C. International Art Gallery Group Show, Vancouver, B.C. Federation of Canadian Artists Juried Show “AIMAE”, Vancouver, B.c. Cowichan Valley Fine Arts Show, Duncan, B.C. THENest Gallery, Group Show, Cowichan Bay, B.C. Sass-e Spring Art Show and Sale, Duncan, B.C. The Loft Gallery Group Art Show and Sale, Mill Bay, B.C. Nanaimo Arts Council Show and Sale, Nanaimo, B.C.